Handmade and nostalgic, our Cinnamon Honey Lollipops are a perfect blend of spicy cinnamon and sweet honey. 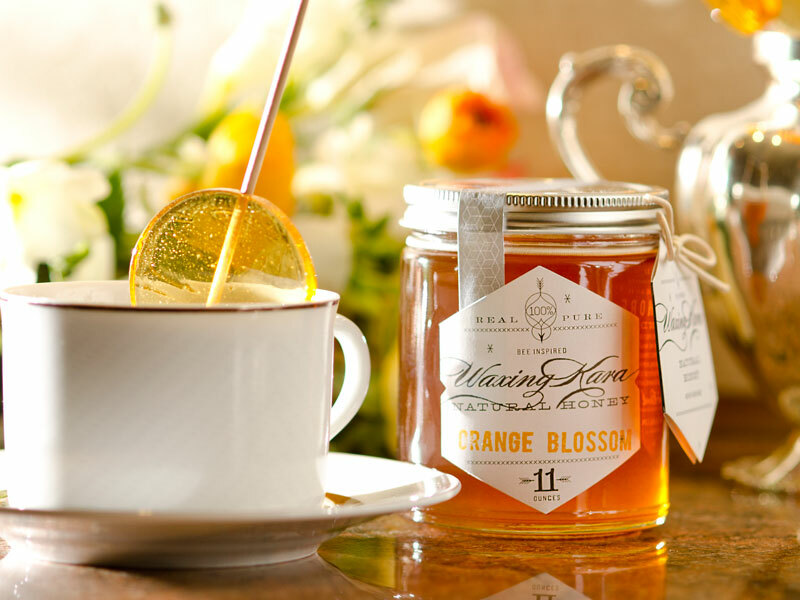 Free from artificial colors and flavors, these lollipops give your cup of tea a little something extra, and perfectly sweeten your favorite cold-weather cocktails. Just like Fireball, without all the heat! Featured in XO Vain. Cinnamon Honey Lollipops have a robust cinnamon sweet flavor that will add a touch of spice to any cup of tea. Completely hand-crafted, these lollies are a spicy and sweet mix, perfect for the autumn and winter blues. They are a great way to warm up your day! 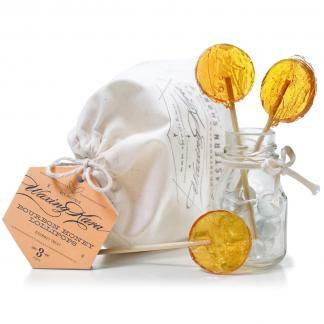 Cinnamon Honey Lollipops soothe a scratchy throat and help keep you on your toes. Ideal for holiday gifts for friends, teachers, and anyone who likes a little spice in their life. Don’t forget to treat yourself! (We all need a taste of something sweet now and then!) Did you know that cinnamon is good for you? Ingredients: Pure Cane Sugar, Corn Syrup (not the high fructose kind), Canola Oil, Waxing Kara Honey, Natural Flavoring, Natural Coloring, Soy Lecithin. When I shared these with my family, my 7 year old said, “these are phenomenal!” I agree – this is a great tasting treat! My favorite! I Love cinnamon!! I love these lollipops! One of my new favorite candies. They’re sooo good in tea and really warm you up. 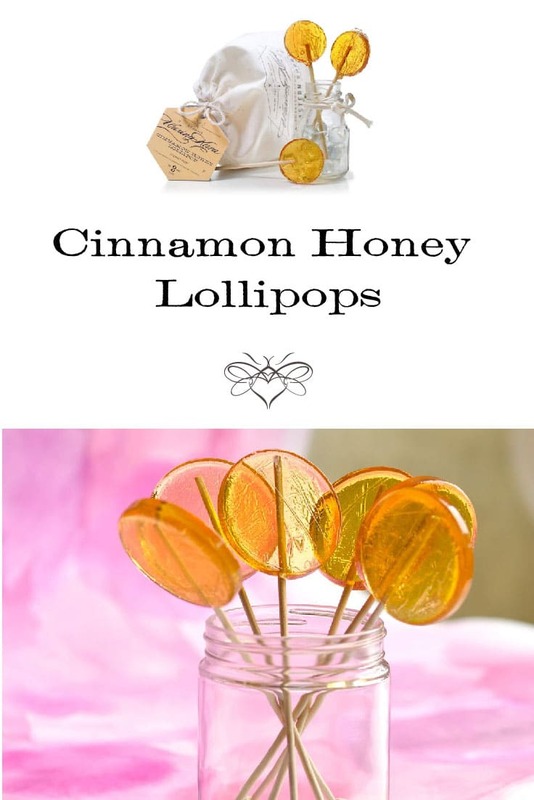 These cinnamon honey lollipops are my daughter’s favorite variety of your honey lollipops! Mine, too! (When I can get my hands on one of these lollipops – they go fast in our house!) My daughter and I are both classically trained singers, and the cinnamon honey flavor is so soothing, especially in cold weather! Just tried the Cinnamon flavor…delish! A nice balance of honey & cinnamon. Not too strong. We are currently experiencing lots of pollen in our area, so these are great for scratchy throats. OMG! I received the Honey Cinnamon lollipops, and couldn’t believe how big they were, and then I tasted them, and my mouth was in heaven!! Just the right amount of cinnamon, and wonderful honey. So delicious!! 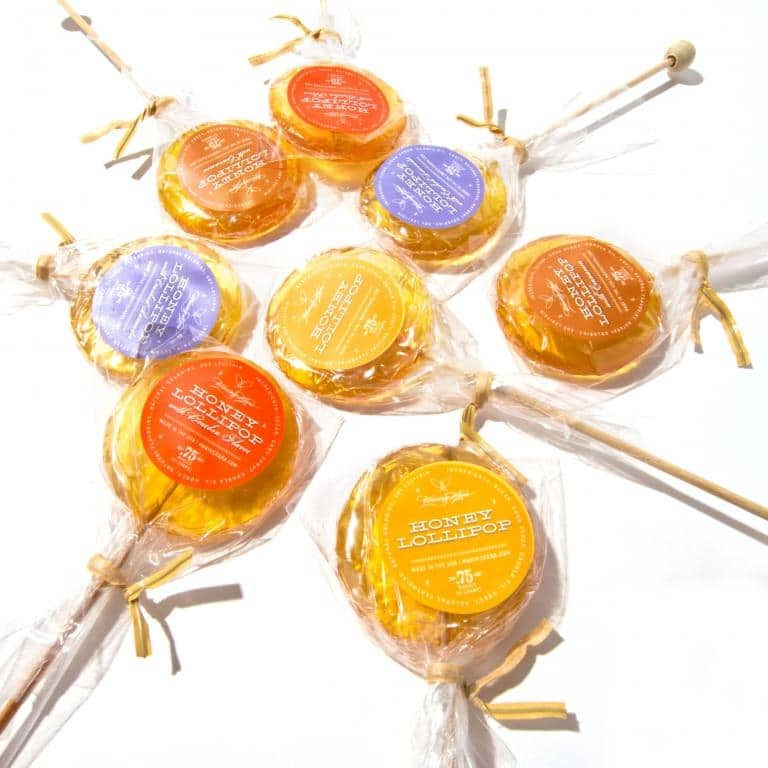 We have tried all of the varieties of your honey lollipops – the Cinnamon flavor is still #1 in our family!